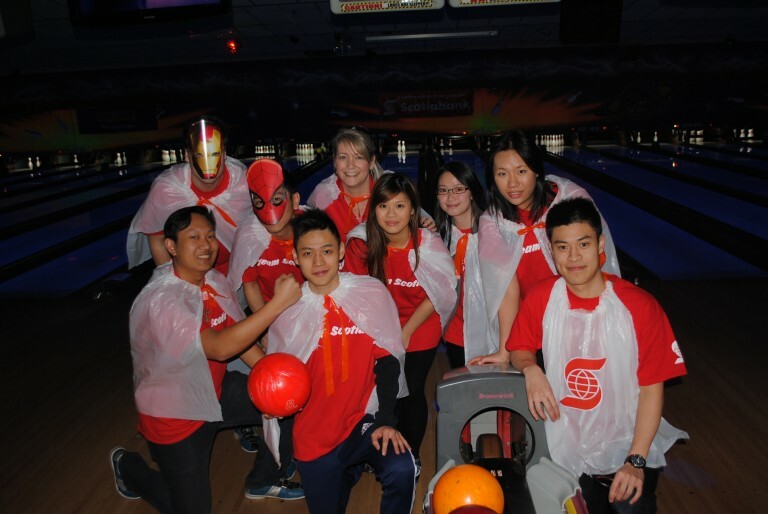 Team Scotia from the Chinatown branch donned their superhero costumes for the 2015 Scotiabank Bowl for Big Brothers Classic. Scotiabank is the Title Sponsor of Big Brothers of Greater Vancouver’s largest fundraising event, The Scotiabank Bowl for Big Brothers Classic. Scotiabank has supported this campaign and the agency’s mission for over 20 years. Since 1994, Scotiabank has contributed almost $750,000 to Big Brothers. In 2014 alone, Scotiabank raised over $51,000 for Big Brothers of Greater Vancouver, with participation from over 50 branches across the Lower Mainland. This dedication to our cause, which flows through each branch across their network, has earned them the Top Fundraising Company Award 14 years in a row. We are sincerely grateful for the support we have received from Scotiabank. Their sponsorship and unparalleled support takes us one step closer to putting a mentor into the life of every child who needs one.